A while back, just like many of you out there I received my updates to my DNA results with Ancestry.com. I am finally getting around to sharing them today. Isn't it nice to get so much more detail with the new analysis! Happy Holidays, Thanks for sharing your updated results. You got less than "1% Native American" which is probably still statistical noise,lol. I've notice one difference African American testers from AncestryDNA (from the very very few results that I've seen) from AA testers of 23andme is the European results. 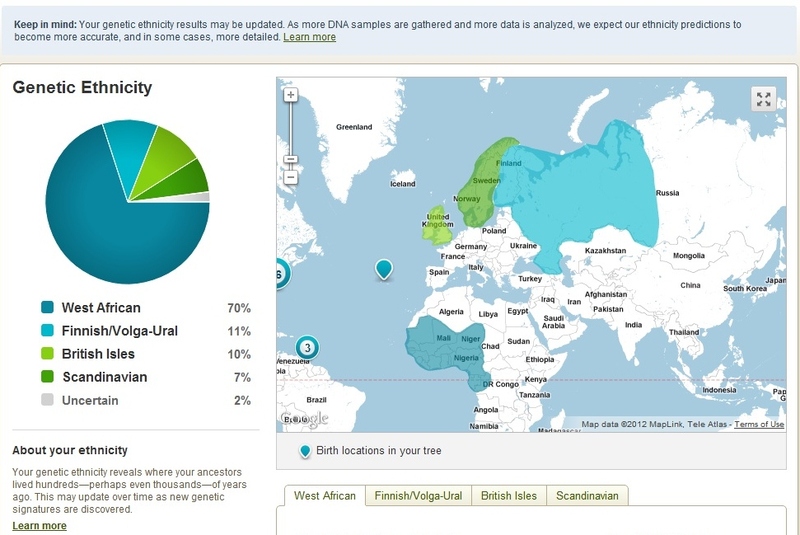 AncestryDNA gives more detailed European results for AAs' European than 23andme does. European", it's "0.3% British & Irish"
,then "3.6% Nonspecific Northern European". After that it's "7.1% Nonspecific European"
I haven't seen anyone else on the internet point that out about the difference between the companies as far as African Americans' European results go. 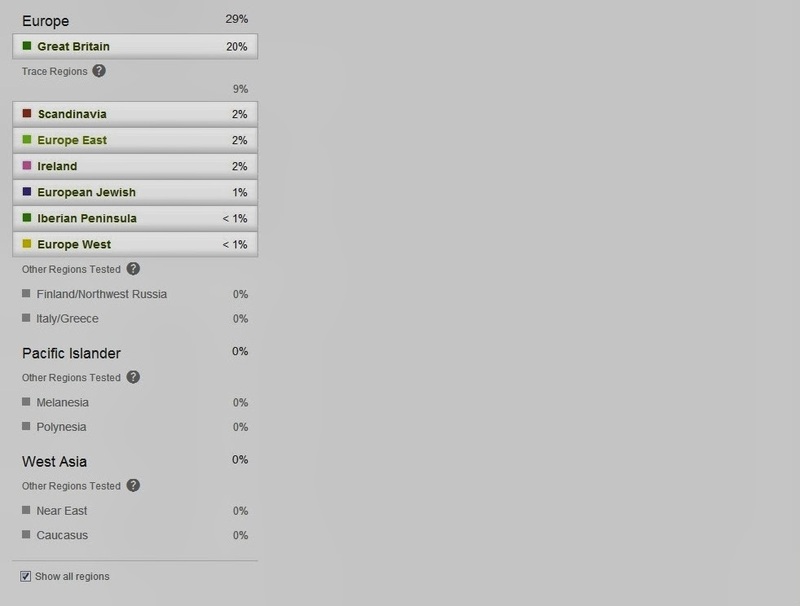 I guess on 23andme,you have to have much more European in order for 23andme to do a good breakdown of it. Some folks have said that Ancestry.com is not worth doing because they do not have a chromosome browser, but that's not that important to me as the ethnicity. Of course,the most important thing is the very first West African breakdown. Would love to see Ancestry.com come out with a third party transfer like Family Tree DNA has. 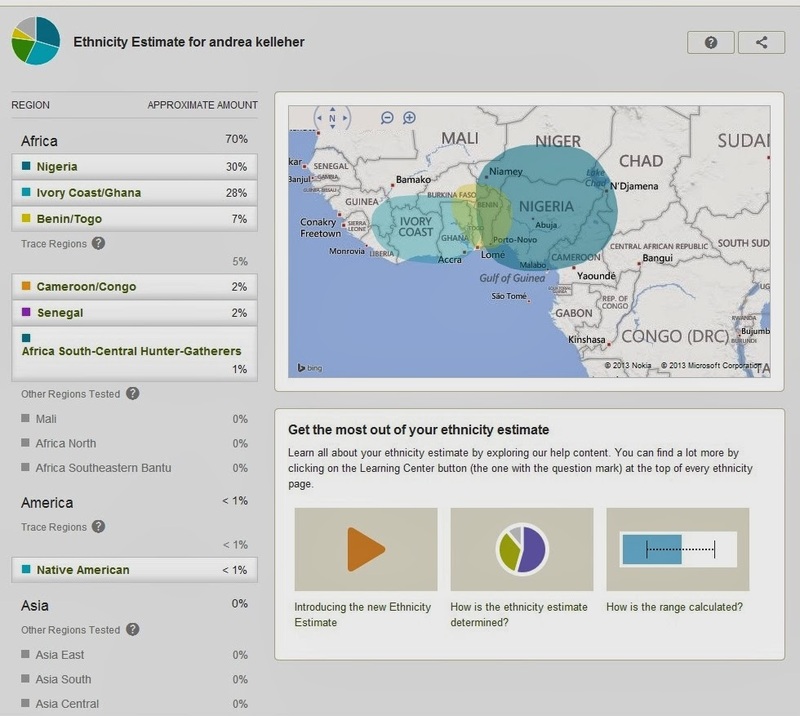 I'm not too sure anything much is going to come out of 23andme's African Ancestry Project.